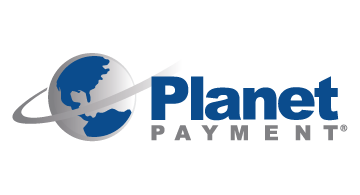 Planet Payment is a leading provider of international payment processing and multi-currency processing services. We provide our services in 23 countries and territories across the Asia Pacific region, North and South America, the Middle East, Africa and Europe, primarily through our 71 acquiring bank and processor customers. Our point-of-sale and e-commerce services help merchants sell more goods and services to consumers, and together with our ATM services are integrated within the payment card transaction flow enabling our acquiring customers, their merchants and consumers to shop, pay, transact and reconcile payment transactions in multiple currencies, geographies and channels. Visit www.planetpayment.com for more information about how our solutions can help drive revenue.